Welcome, welcome! I’m so excited to have you here for the festival! Make sure that you are comfortable, there are so many beautiful quilts to inspire and awe you. When I hosted the Spring Festival I was blown away by the vastness of this online community, and all the talent too! This installment is bound to be just as exciting and fun, with new friends made too.I need to start with a big THANK YOU to the sponsors – check them out on the right, and later in this post too! Each sponsor has generously offered a piece of their shop/business, please take a few moments to click over to each one as they all have something different to offer. Do you have a quilt to showcase? Excellent! Here’s what you need to do —1. Go write a post about your quilt. It doesn’t matter what size, style, or era it is from – there’s no judging here. In your post tell your quilt’s story. Also be sure to link back here so your readers can join in the fun too! Everyone is welcome – international readers that’s you too!2. Once you have posted on your blog, come back here with a link to that post. Not just your blog, click on the title of your post and get a link to that specific post. 6 months later there have been lots of readers clicking through links from the Spring Festival daily, if you post just to your blog they will not be able to find your Festival Entry.3. Insert your name and url in the Mr. Linky.4. Leave me a comment to be entered in to the giveaways. I’m curious to know where you are from, could you please add your general location to your comment!? Thanks!5. Now go check out all the other entries! Leave encouraging comments wherever you land, enjoy making new friends and be inspired. 6. If you are on flickr, consider adding your entry to the Group Pool, it’s great to see all the quilts in the gallery. 66. Kim – my first quilt! 587. Janice @ Sew Girly! To celebrate the launch of PatchworkFolio I am offering a complete blog makeover to include a custom header, 5 sidebar title buttons, custom background, fonts, colors, favicon and post divider, coordinating post title font and custom ’email me’ button. I will work with your current platform (i.e. Blogger, Typepad, WordPress or other) and restrictions may apply depending upon your plan level and options available with your service. If you don’t have a blog but wish to enter the drawing I will get you set up on Blogger’s free platform and include all of the above (a $150 value). Kay is offering an autographed copy of her book – Easy Appliqué Blocks: 50 Designs in 5 Sizes from That Patchwork Place. Leah is offering a charm pack quilt pattern, designed by Sandy Gervais, and two of her charm packs — Gobble Gobble and Essence! Dorothy is offering a complete pattern set for her BOM applique pattern “A Little Bit More…About Bears”! Kelly is offering Eleanor Burns’ book, Quilt In a Day! Terri is offering one Techie Bag from her shop! Winner’s choice! Sarah is offering an autographed copy of her new book – Threadwork Unraveled! Cathy is offering your choice of Amy Butler pattern, and a bundle of 4 – 1/2 yard Amy Butler prints! Angela is giving away a bundle of 4 – 3/4yd cuts from Joel Dewberry! I have updated the button code to come back to this post – I encourage you to swap out the original and use this one for an easy reference back to all the inspiration! I will keep one in my sidebar too if you happen to come to my front page. If you have any questions please email me directly, I’m not going to be able to keep up with the comments – Thanks! i can't find the linky thing to post my link! sorry – am new to blogging and quite incompetent at technical things! but anyway – this is such a cool idea. i live in sudan (but we're from the US/UK) and i just looovvved looking at all the quilts in the spring festival. And i'm very excited I can be in this one! Oh yeah – by the way – I've linked and posted and linked, etc. Thanks for hosting this festival again Amy…it was so much fun to see all the quilts last year. I have posted and linked to mr. linky. Can't wait for the weekend and time to browse the quilt show! Good morning Amy…thank you so much for hosting this. I've posted to the mr. linky thingy and I think I'm good to go. Oh I'm in Stillwater, Oklahoma!!! http://edutach.blogspot.com/2009/10/bloggers-quilt-festival.html Here is a link to my favorite quilt (right now). This is the first time I've participated…what fun. Thanks for thinking up the idea. i'm from the clear lake area of texas, just south of houston. i'm looking forward to next weekend and the int'l quilt festival (in which my boss just made fun of me…he thought he'd be smart and tell me there's a show. i replied that i bought my tickets 4 weeks ago). Hey! What a great place to spend hours looking at beautiful quilts! I have just moved from Memphis to Virginia, but was born a raised in San Diego…my husbands a Marine and we move a lot! We have two beautiful kiddos and a third on the way! This was my first complete quilt, made for my 2 yr old daughter's big girl bed. Hope y'all enjoy! Hi, Amy! I joined in this time–it looks great, and we're all sure to walk away with loads of inspiration! Looking forward to this second round of the festival. I'm from Sunnyvale, CA – that's in the Bay Area. Dee from Indiana! Thanks so much for doing this…I learned so much and saw so many incredibly beautiful quilts and read the inspiring stories behind them. Wow. Incredible idea from an incredible woman! Thanks for organizing this – I'm super-excited to check out everyone's quilts! Thanks for doing this again, Amy. I enjoyed participating in your Spring Quilt Festival ao here I am again…linked and raring to go! Thanks for the fun. I've linked by post – from Canada! I've just linked my quilt … all the way from Toronto, Canada. Hi – I am from the panhandle of Florida in the USA, I am so excited to be able to enter again. In the spring I tried to leave a comment on every blog and found some favorites and lots of very good ideas. Thank you for all of your effort. I am from Mayer, AZ – about 22/25 minutes outside of Prescott, AZ (about 80 minutes north of the Phoenix airport. I posted my quilt this morning – http://floribunda.blogspot.com/2009/10/virtual-quilt-show.html. Thank you for making this possible — I love seeing all the quilts online! I think this is the last step — this is truly a wonderful idea – it's a gloomy day in southern Maine (about 15 miles north of Kennebunkport) so browsing the list will replace cuddling on the couch with the latest book. Thank you so much for providing a connection to the world of quilters. Thanks for the opportunity to share all of our quilts! how fun! I don't think my link worked right though…. :( I'm kind of "computer challenged". Oops, I had posted my link earlier this morning with Mister Linky and then didn't see it later. So I added it and now I notice that it's there twice on the second list – #7 and #49. Can you delete the #49 one please? Sorry about that. Thanks for all your hard work setting this Festival up for us. I have made my post today with photo and the button is up also. With snow in the forecast for this weekend, what a great way to spend time – viewing all the beautiful quilts! Thanks for doing this again! It came about last time *just* after I started blogging and really got me going when I had the high of receiving so many comments — and I still get so much traffic from it! Just posted my quilt…I'm in Minnesota. Great idea, thanks for doing this! It's really ELIZABETH E. from the OccasionalPiece blog and I wanted to say how fun it will be this weekend to go to an online Quilt Festival! Thank you, Amy, for posting this for us–I enjoyed the Spring Show very much. Thank you, Amy, for hosting! I'm a newbie when it comes to quilting. I have a love of fabric and color, but I'm impatient when it comes to putting quilts together. 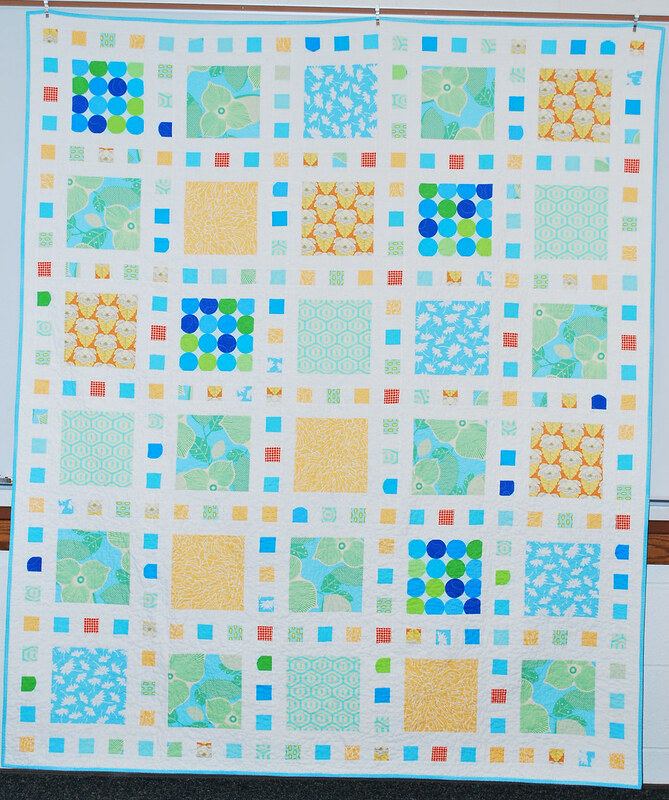 *grin* I have six quilts in progress, but only two finishes — Baby Dane is my offering for the festival. I'm from West Michigan, about 25 minutes north of Grand Rapids. What a fun idea ! Our little town of Hohenwald, Tennessee, is having Oktoberfest this weekend, and I found that it is just too much looking for a parking space, and walking all over creation……..but this virtual festival is perfect ! Thank you for the idea…..congratulations on its success, and thank you also, for including my link and quilt ! Really easy to do this year – thanks for the extra directions on using the perma link for the right day's posting. Hoping to have time this weekend to see them all… ha! it will take a month of looking because I always get distracted and go link hopping around. Hi Amy-Stephanie from Redmond, WA! Congrats on putting this together!! Thanks for all the work, and thank you to the generous sponsors and talented quilters! Everyone always says that the internet makes the world a great deal smaller. With these wonderful quilting bloggers, I now have many more blogs to visit and that makes my world much larger! Thanks for the time and effort you have put into this. Can't wait to dig into all the links with quilts to view. This is a lot of work for you…and it's appreciated. Keeps everyone from feeling so left out from Quilt Market. Enjoying all this from Kentucky. OK, I have posted about my quilt and linked, and just for your curiosity: I am 67 years old, have lived in Grand Rapids, MI for the last 31 years and grew up in Minneapolis. I have been quilting for about 40 years, mostly for charity, kids and grandkids. I like to fool around with fabric, PIECE blocks and make scraps into quilts. Thanks for organizing this! It's so much fun and I'm glad I had the chance to participate this year. Oh, and I'm from South Carolina! I live in GERMANY!! Well my husband and I are just stationed here for now. We've been here for 3 1/2 years already. I wanna win some stuff! Let me say thank you for hosting this also. I dont get to do quilt shows over here… I dont even have a fabric store! So its much much appreciated. Thanks for setting up the bloggers quilt festival, Amy. Super fun. I'm Alisa from Chilliwack, BC, Canada. I think I finally got things right! Thanks for all the time you have put into organizing this for all of us out here who love to quilt and are not brave enough to show them off. Thank you for hosting this very fun event! I have a post! I am in Green, Ohio, South of Cleveland, North of Canton. Thanks! What a great idea. Thank you for taking the time to set this up. I look forward to start checking out the links to all this creativity! Hey Amy! This is my 2nd time participating in your Quilt Festival. I can't wait to snoop around and check out all the beautiful quilts! I'm from Seattle, Wa. Thanks for all your hard work on this! Amy, girl, hi! I'm all posted and am *trying* to have a lookie at everyone's wonderful efforts. There's so many! This is so cool and you're so smart – but you knew I thought that anyway, didn't ya? Lynz Graham in Bonnie Scotland!! This is just so great! Thanks for hosting this again. I am Alyson from Minneapolis. I loved checking out all the quilts last spring and thrilled to have more at my fingertips…and what great giveways too! This is my first time entering the festival. This is such fun. Can't wait to see all the beautiful quilts. Thanks for doing this. Like I said, this is my first time for doing this and I did it wrong. My first link was wrong. I did it again and put in the correct link. Could you get rid of the first one. I'm so sorry. Thanks again for doing this Amy – can't wait to see everyone's quilts! What a fun idea! And it originated in my backyard practically! Thanks for all of your hard work to put this together! I know I will spend countless hours checking out everyone's blogs and projects. Shannon at "The Quilt Rack"
YEAH! My very first quilt show! Hi I'm Tammy from Phoenix Arizona. It is going to be fun to look at all of these quilts! Thanks for doing this Amy! Thanks so much for putting together this fabulous festival again. I had such a wonderful time in the Spring! I am really looking forward to all of the fabulous eye candy and great stories as I visit blogs over the next few days. Thanks for all the organizing and energy to do this for the quilting world, Amy. It'll be great fun, just as it was last spring. Mr. Linky was my friend, I'm linked, and now I'm heading off to check out some new friends. I happened upon the quilt festival – what a great idea. I've already been surfing the links. I'm a Minnesota gal that's been quilting for many years. hi! i'm RosaMaría from Guadalajara, México and i'm a begginer quilter. Thanks to Amy for this amazing idea! thanks for the great opportunity to sharing!! happy quilting to everyone! Thanks so much for doing this! I am a relatively new quilter but I am having fun and learning so much with every quilt I make! Plus blogging has been a wonderful learning experience! I am from Victoria, BC Canada. Aloha, I live, quilt and design quilt patterns in Hawaii. My quilt for the show was inspired by my cousin Arlette and friend Penny who both battled ovarian cancer. May all those that view my quilt give their wishes of hope for those suffering from this disease. Oh my lord there are so many blgo9s to go look at! what have you done to me park city girl! You know I have to go check them all out!!! well done! i think it's a hit! i am so excited about quilt festival…thanks for hosting again. i am from NY…i can not wait to go and look at everyone's post. i am going to have to pace myself. What a fun festival! So many beautiful quilts and projects. I have just done my blog post and linked and am having a great time looking through the blogs. Thanks for a great festival of quilts, I am from Australia and am so happy to take part. Thank you so much for having this online festival. I am fairly new to quilting and love all the inspiration!! I am from Pennsylvania. Thanks for hosting this great festival. So exciting! I didn't participate last time as I didn't have a blog. I'm from New Zealand and have added my link and the button to my sidebar. I am so happy to participate this round. Such wonderful Quilts. Thank you so much for putting the show together. I am from Ottawa, Ontario, Canada. Thanks Amy for doing this again, it was such fun last time around. I have entered and linked and now I am going to visit all the sites. What's better than visiting a quilt show in my jammies from my own home in WI. Your the best!! Thanks so much Amy! I really enjoyed this in the spring and know it will be tons of fun again! It's great to get everyone telling their quilt stories…and a perfect time to do this! Love this online show. Thx's for taking the time and putting them together. I am also so new at blogging. But find it so yummy..!! I am here in NE Ohio and enjoying the festival. Thanks for organizing this! I'm from Warrensburg, Missouri. I will try to post a picture of the quilt taken in the natural light. We have had some very rainy days here, so my pics were taken in bad light with bad staging. I'll try to do better and then update my blog with better photos when I can. Thanks again, for the fun show. I'm number 165 in the lineup…I posted my qult pic from flickr. Now I'll hunt up the group and addit there. Thx for all the work it takes to set up these quilt shows. Oh, and I'm from Chicago. Thanks for doing this, Amy (and sponsors)! I live in the Midwest where it has finally quit raining cats and dogs…. oops forgot to leave my comment when I linked up to Mr. Linky :) Thanks for putting this all togehter again this Fall Amy – it's great to visit all the blogs and see all the wonderful quilts! Thanks so much for hosting the Quilt Festival again this Fall. It's a great event. Just loved seeing the different quilts. I live in a suburb, north of Atlanta, very near Stone Mountain. I'm originally from south Louisiana. I have linked my blog post to Mr. Linky. I'm number 201. WOW! Neat. That's a lot of quilt inspiration. Looking forward to sitting back and enjoying the show!! Thanks for organizing this quilt show and….my, my, what great sponsors you have! And lovely prizes! I messed up the first one by not reading the directions. Sorry…. Can you believe it? This is the first time I've ever let my quilt be judged by anybody. I added my favorite quilt! What fun! I live in the Tacoma, WA area. You pulled it off again Amy! Loads of fun new blogs to discover. Thanks for all your hard work. Amy, I love the opportunity to post once more in the online quilt festival. Thanks for reminding us to tell our stories. The stories connect us to our past, each other, and our future. I posted my quilt! My newest, and my first to be professionally quilted! YAY. I have recently just moved to Chicago. A Virtual Quilt Festival is brilliant!!! The ability to share globally is staggering and inspiring! I live in southeastern PA and will be enjoying the view from here! I participated in the spring quilt festival and had a great time. I loved looking at all the beautiful quilts. I live in Edmonton Alberta Canada and am honored to show another quilt in your show. Thank you so much for setting up the festival. It is going to be a wonderful success. Amy, thank you for hosting this. I'm link #65, which is wrong, but there was no smiley face for me to fix it, so I'm also #210. Sorry for this, but I'm sure you can fix it. I'm in Murrieta, CA. I'm so excited to participate and see everyone's beautiful work. In the initial confusion of linking I didn't leave a comment – so here goes. 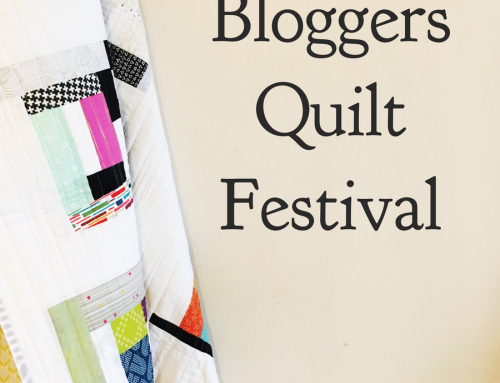 Thanks for organising the Blogger's Quilt Festival – I am thoroughly enjoying it. Thanks also to the sponsors. Thanks so much, Amy, for taking the time to organize this. What a great way to see everyone else's great work! Amy, thanks for hosting this quilt festival again. So fun. I'm from Fresno, central California. Yay – back again.. Loved this last time. Though I'm a quilter from Milwaukee, Wisconsin, I'm actually posting this from Toronto. Of course, I messed it up and posted twice and I don't get a smiley face which I can use to delete it, so I'm sorry! Thank you SO much for organizing this–can't wait to see all of the other blogs! I'm from CA and have a quilt to add to the fall festival. I'm an iweb girl and can't seem to publish just now. Thanks for hosting Amy!! Just posted my entry. Mine is 'star stories,' a quilt of donated fabrics made as a wedding present for a co-worker. Just got my post up. I'm loving looking at so many super talented quilters blogs. I can't wait to find my new favorite blogs. A neat project – thanks for organizing. I'm so excited to participate in the quilt festival. I live in Spring Hill TN. I've only been quilting for about 5 years but really do enjoy it although I do other kinds of sewing also. I retired from school teaching last May and moved her over the summer. Am still working on getting settled in and looking forward to having lots more time to spend with my sewing machine (and my family). Can't wait to look at all these quilts. My name is Sibylle, I live in beautiful Perth in Western Australia but am originally fom Munich, Germany. Off to look at lots of links now! Thanks for setting up such a fun festival. I love seeing all the quilts from all over the world. I am from west central Florida, about 45 minutes north of Tampa. Thanks, Amy, for organizing this quilt festival. What a terrific idea! I'm having such a good time looking at all these quilts and reading some awesome quilt stories. Thanks for making it possible! Amy, Thank you so much for all you've done for this fantastic event. You are amazing. Thank you for hosting this festival – what fun! I was not able to join in the Spring one due to not having made any quilts so I am really pleased to be able to join in this time around! I am from Warwickshire in the UK. I've posted my favourite quilt – the first one I ever made. I live in Perth, Western Australia! I've added the URL to Mr Linky. Thanks for hosting such an interesting event with so many neat blogs to look at! Hi There, I am a 25 year old quilter from Sydney Australia! This is such a great idea and I am so glad I can be a part of it! Thanks! So glad I decided to participate :) Thanks for hosting this Amy!! your great online festival was eaderly awaited, thank you for hosting, so much inspiration!! This is so cool – again!! So much to see!! Such a treat!! Thank you! Thank you! Thank you! Hi Amy, thanks for hosting this wonderful event again. I look forward to reading all those posts and amiring the quilts! Wow, so many participants. It will take ages to view them all! Goodbye household, goodbye children – I have to go to that quilt festival first! Today I have posted my quilt. I am from Germany. This is such a fabulous idea. I had so much fun back in April, I've been really looking forward to this second round! Thanks again! I've joined up too…thanks so much for all the fun.. Sorry, I am there two times because I forgot to link the specific post. Hi Amy, I missed the first festival, only just starting on the blogs at that time but wouldn't want to miss this one! thanks for organising it, it's fab! Just wrote my entry and looking forward to looking at the other quilts. Thanks for doing this show. Now I will have to go and see everyone's quilts. I love what you are doing here! I am a Texas girl who has to travel an hour just to get to a decent fabric store or Target. Thanks for all the work you've put in here–it's great fun! Hi Amy! I just listed my quilt in the Blogger Quilt Festival. Thank you for organizing the whole event. I am from Athens, GA, 70 miles eas of Atlanta. Great, my first Quilt festival! It is funny to look at all the interesting Quilts! Yay for Blogger's Quilt Festival! I'm in southeastern Ohio. I have just done a post about my favorite quilt. It is exciting to see all the participants. I am from the Piedmont area of the beautiful state of North Carolina. Thanks for the Festival now I am off to see the quilts. Just entered! Thanks for organizing this – it's great! And just in time for my first quilt. :) I'm Jen from Washington, DC. Thanks for setting up the quilt festival. This will get me through winter! I posted my quilt choice on my blog and thank you for the fun of this Festival! How on EARTH am I meant to get any work done with all these fantastic quilts to look at? Thanks for organising this show, it's a fantastic idea. I am from West Yorkshire in the UK. Thanks for hosting another Online Quilt Festival. It is so much fun to see everyone's projects! I can just sit at my computer, drink some tea and enjoy! Whoa! There goes the weekend, leaping from quilt to quilt! I have posted two linked quilts – both for my daughter's 21st – one a silk disaster she received when aged 24! and a cotton consolation prize soon after!! What a great idea ,Amy! I am Jane from Janesville in Wisconsin! I'm doing pretty well at keeping up with the quilts as they are posted. What a fun idea and it helps find new blogs. To satisfy your curiosity, I'm in Colorado. Thanks for all your hard work,Amy! I've been missing you at the quilt along and now I know why. I blogged about my newest quilt (added to Mr. Linky) and I can't wait to go look at everyone else's! I'm in Eureka Springs, AR and it's downright chilly here this morning in the Ozarks. Thanks for hosting this Amy. This is my first time posting,and I'm enjoying all of the other posts. Such talent there is out there. Karen from Michigan. Hi…I've written my post and scheduled it to go up on the 12th (I just posted today already before I found this). I'm from Columbus, OH and heard about this from one of my blog readers in Canada. Looks like fun, thanks so much! The prizes – holy moly! amazing…would love the blog makeover!! What a great way to 'meet' other artist! Thanks. Thank you so much for doing this! It is so great to see what everyone is busy working on, these quilts are amazing!! Love the bloggers quilt show! I'm in. :-) Thanks for hosting. Wow. This is great and i can't wait to check out every single blog. What a great idea for a quilt show – online so all can see. It is great to share. i have or am trying to post Mexican Stars. I have posted this quilt at http://teaandquilts.blogspot.com Hope that my link goes there. Miss Nancy in the St. Louis area, home of the St. Louis Cardinals. What great prizes! I'm excited to get my quilt post all set. Thanks for hosting!! I'm in Rochester, NY. What a great way to share our quilts and a little bit of ourselves. Thanks for taking the time to get this all organized. I have been following your lovely blog for some time now. Wishing you continued success in all you do. Wow! I can't believe how many quilts have been entered already. You are great to be hosting this again. It's loads of fun and very inspiring. Have a great weekend! Oh yeah, I should have said I'm from Windsor ON Canada and I love this quilt show. Thanks again for hosting this. Amy, thanks for hosting the quilt festival. I have blogged about my quilt for the festival. There are so many beautiful quilts! Thank you so much for doing this fabulous Blogger's Quilt Festival! I've really enjoyed looking at other people's beautiful quilts. Great idea-I love seeing the delicious quilts. Time to get sewing! Merci Beaucoup, Amy, for this fabulous idea. I'm looking forward to many happy ART moments. What fun to join in the Blogger's Festival again! I entered a medallion quilt this year. I made a few other things this year that I'm very proud of, but this is the most colorful one. Thanks Park City Girl! Thanks so much for hosting this quilt festival again!! It's going to take me awhile to see everyone's blog posts–a BIG festival!!!! I'm number 289!!! So much fun! I just posted mine. Hi Amy, thanks for doing this again, wow what a lot of work for you but such a treat for us! I've posted on my blog, and linked to Mr. Linky, and fixed the button on my blog to come to this post. I'm in Michigan, and loving meeting quilters from all over the world! the quilt festival is so fun. thanks for hosting it. Let's hope that #347 is a lucky comment! Thanks so much for providing us with this great opportunity, Amy — what fun! I'm having just as much fun this Festival as I did last Spring. Thanks so much, Amy, for hosting this wonderful event. Even though I usually don't attend Quilt Market in Houston (I only attend Spring Market), I certainly don't feel left out! Give yourself a huge "pat on the back" from me…you certainly deserve it! I'm in Thousand Oaks, CA, btw. Thank you for this wonderful idea! I read about it only yesterday and hurried to take part of the festival! I am from Germany and my blog is quite new and small, but I hope the visitors will enjoy my lone star quilt. Hi there…Mary here at Quilt Hollow! I've posted this quilt recently on my blog but thought why not again for those who will be scouring the quilts and who may have missed it. I plan to give this little quilt away soon. Hello I am from Canada. I think this is a great idea. beautiful stuff. I would love to be entered in your give away. Hi Amy, I have been following your blog for awhile and really love it. Thank you for having this quilt festival. I live In Texas and will be going to International Quilt Festival next week. What a great idea. Cant wait to browse through all the wonderful quilts. I live in central Utah, USA. Thanks for hosting. Sorry, I forgot to do a post yesterday, but I've got one today! I live on the hot, humid, West coast of Florida! Thanks Amy for doing something so fun for all of us! Thank you so much for doing this, this is awesome and it's great to see so many other quilts! I am from Findlay, Ohio and have posted my Decadent Victorian quilt. Have a great say! This is totally rocking my world! LOVE IT!!! forgot to add that I'm from southern NJ. 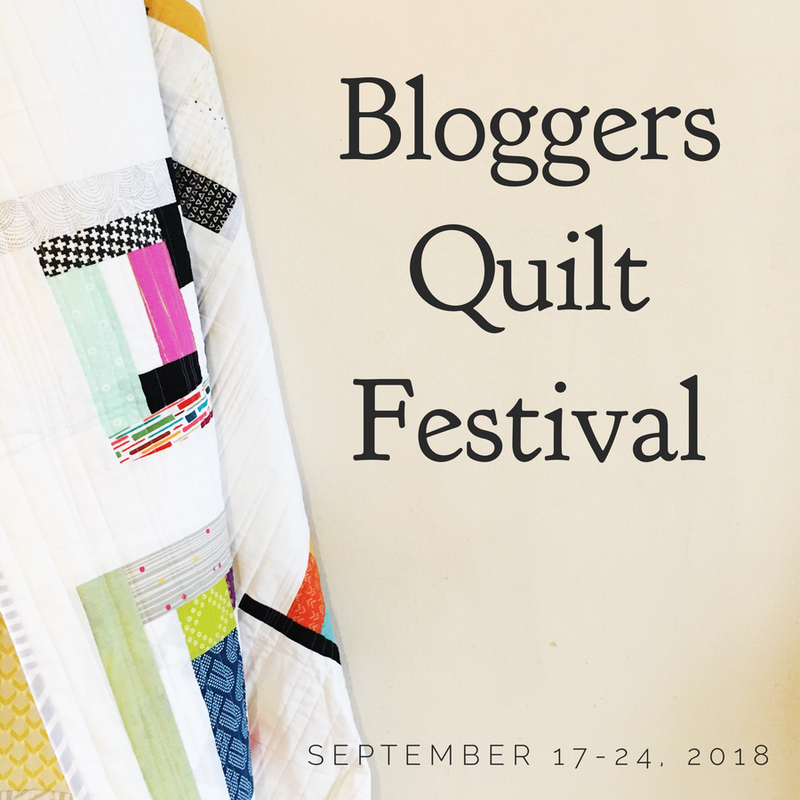 I love this Blogger's Quilt Festival! Hoping many of you can make it to Houston (or one of the other Quilt Festival locations) next year! Thanks for hosting the festival! It is so fun to see what quilters around the world are creating! Hi, this is the first time I show one of my quilts internationally, and I'm very excited \(*O*)/ Thanks a lot for this great idea, there are not a lot of quiltshows here in Mexico I'll be checking all the quilts as soon as possible, I think it will be a grat experience. What fun is this!!! Totally excited! Amy, Another wonderful event–thank you so much for putting it together, and thanks to all the wonderful sponsers–what great prizes! I look forward to seeing many quilts and have posted my link. I am in Ventura, California! Thank you for organizing and hosting this event. Hi, Amy! I posted my link in the Mr. Linky box. Thank you so much for doing this. I know a lot of work went on behind the scenes. I have chaired quilt shows in real life, so I'm sure chairing a quilt show in blogland is hard work, too. This is so much fun. I'm going to post about the first big-ish quilt I ever made. I'm still hoping to one day make my 'favourite' quilt. PS: I live in New Hampshire! yay! its festival time again! I was trying to finish my new big quilt by today, but I can't finish it! But at least I still have something to show! Hi! I live in the Seattle, WA area, and I love love love this quilt festival! Thank you so much for organizing and hosting this. YOU deserve a prize, but I don't know what it could be. Thanks to your generous sponsers for the giveaways as well. Thanks so much for hosting this! I've added my link (number 328) – Rachel in Melbourne, Australia. Thanks for doing this again! I recently made my way thru the last list. It's so fun to see what everyone else is making, not to mention inspiring! I'm in and from Northern Nevada close to the Sierra Foothills! Thanks for hosting this, Amy! So many beautiful quilts for inspiration. I just added a link to mine. I live in Los Angeles, but I am an East Coast Girl. Hi! This is fantastic and I just wants to joun the fun. Maria from Denmark. I entered my quilt! Thanks for hosting this fun festival! Thank you so much, Amy, for doing this. It's such fun to feel like I'm connected to so many others in quilting! It really is like having a family:) And I certainly joined in again this time, wouldn't miss it! Thanks for hosting this again! I love looking through everyone's quilts!!! Hi! I am posting my favorite quilt to be a part of the festival. This is a great idea! My blog is rememberyourkarma.blogspot.com. I am located in the foothills of the Blue Ridge Mountains in North Carolina, USA. Thanks for organizing this, I really enjoy seeing the beautiful quilts and meeting other blog-quilters. I am from Texas, by way of Colorado. I am showing my newest plaid madness quilt. Thank you for doing this, it is fun to see everyone's creativity! Great viewing. Thanks Amy from Julie S….Australia. Just put in my entry. Thank you so much for doing this. I'm here in North Carolina where it's very warm and humid today. A little rainy so it was a good day to check out some of the wonderful quilts. I love reading the stories, admiring so many beautiful works. You are sweet to gather all this inspiration together (especially for brand new babies like me). 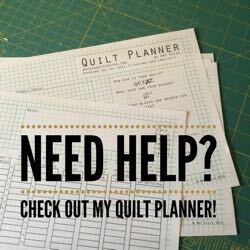 Wow… I can't believe how many quilting bloggers there are… it's amazing! There are almost more sites to visit than days in a year!!! SO MUCH FUN!! I read about your festival and decided on a whim to link one of my quilts. Thanks for having this awesome event. I'm very excited to read about all the quilts here. This is a terrific idea. Thank you Amy for "doing" this great festival again! How fun! I have seen so many beautiful quilts,,, a great way to spend a day – getting inspired! I just posted my own quilt link, plus, my link has a tutorial with it! Bonus!Thanks for the fun. I'm from Salt Lace City. Kathy from Winnipeg, MB Canada. Fairly new to quilting, but love it so much. Thanks for doing this quilt festival, so clever! Fantastic job Amy..thank you so much I have done my post and the link…and I am from the fantastic little town Narromine in Australia.. In the initial confusion of linking I thought I had left a comment but it does not appear to be there, so here goes. Thanks for organising the festival – I am thoroughly enjoying going through the list! Ooh, this is going to be such fun!! I've posted my entry and linked. Thanks for doing this again. Thank you for hosting this, and thank you to all of the sponsors! This is the first time I've participated in the quilt festival and I love the idea! what a lovely idea – I have just posted my most recently finished quilt! I posted about a quilt which my 12 year old son helped me to create. We both enjoyed the time we spent on our special project and he loves the finished thing, it's his favourite. Really enjoying clicking on the links to see all of the wonderful quilts, such a brilliant idea. I've posted my own quilt this morning. Clever idea Amy! I'm Nina-Marie and I'm in Northwestern PA – on Lake Erie. I don't know what's more fun – participating or browsing the show! Brava!! Hi Amy! I am so glad I found this! I'm an American living in Muscat, Oman in the Middle East. We have a huge group of quilters here and a thriving guild. I can't wait to sit back and have a look! Gotta go run and pick up the kids! Hi, I have posted about my quilt and I have add my link. Thanks for this nice event. I am originally from Northwest Alabama but moved to Henderson, NC in Jan 2003! What a great idea. I have posted my first ever quilt. I have been looking at some of the quilts people are showing and they are amazing! It's nice to see what other people are up to. Have started my own blog so I can join in with this fantastic virtual quilt show. I live on the island of Guernsey – between England and France. Not many other quilters so I especially enjoy anything online. Thank you for organising this. First of all thanks for hosting this amazing quilt festival. There's a lot of work and time involved in it. I can't wait to visit all the blogs :D. I do not have one so I grab the button on my flickr gallery. Thank you for yet another online quilt festival and strengthening the online quilting community! Thanks for organizing and doing all this. It's nice to re-remember favorites and also so wonderful to get all this inspiration for future quilts. This is so great! There are so many amazing quilts to look at. I'm new to the quilting scene, but instantly fell in love… I entered the very first quilt I made. It was for my newborn daughter and it opened a whole new world to me, kinda like she did! Thanks for the fun opportunity! This is great! Thanks for hosting this festival! This looks like a lot of fun. I've linked my post for a quilt I made for the Alzheimer's Art Quilt Initiative. I'm in Ohio. This is a great way to go to a quilt show! You must be thrilled to have such a huge response to this. Thank you for setting it up. Now, off to check out some more gorgeous quilts! Oop's, forgot to tell you that I live in Utah now. A former New Englander! This has been fun, to see so many blogs and quilts and still be in my jammies. Thanks for organizing this. I'm also from Utah. Hello!!! Finally I decide to join in. This is a fantastic idea. I´m Diana Zamora from Costa Rica. This Quilt Festival is awesome!! Thank you for hosting it! I am number 178 and I would love to win a prize!! i am from Vancouver Is, BC Canada! Hi Carin from Utah here! I just posted about my favorite quilt, the post also tells about why its my favorite. Thanks for hosting this! Currently in Boston MA :-), have loved looking through all the inspiring quilts! I love this idea! I have mostly learned to quilt (and am still learning) from quilt bloggers. Thank you so much for organizing this and letting me be a participant! I forgot to mention that I'm quilting from central Mississippi. What a great way to spend a cold sunday afternoon, looking at great quilts. Thanks for posting this quilt show and for all the give aways. I hope I am entered!! Reeze H from Ottawa, KS. Hi Amy! Thanks for doing this again! It was so much fun last time! My name is Holly and I'm from Philadelphia, PA.
Hi Amy, thanks for the opportunity to show-case my quilt. I live in Maleny, Queensland, Australia. I'm not sure if I put the correct link in my entry, I have a feeling it just goes to my blog. Great idea and it's a great show, Ann. Hi Amy, thanks for organizing this cool show again. Its so fun to take the tour and visit great blogs, and see all the beautiful quilts. Im from Mexico, spending some time in Canada. Thank you so much for hosting this wonderful quilt festival! I have just posted a multi generational crazy quilt. I'm number 408 with Mr. Linky! Wow! I live in the Central Coast area of California, and I just started two new quilts that will keep me busy this winter. Thanks for doing this. It's so fun! I am new to quilting and I am loving it! Thanks for giving me a place to show off my first real quilt – I'm really proud of it! I've already spent a ton of time looking at all the beautiful entries. So inspiring! I've just posted my link to my quilt. It's such a fun way to see what everyone else is doing and a brilliant source of inspiration! Amy, this was a brilliant idea! I've seen so many great quilts and have truly been inspired. Thanks! Happy to be apart of the fall quilt show! The spring one was fun too…such amazing talent! I'm from a small town just north of Madison, WI. And yes, it snowed here yesterday! AHHH! congrats amy…another successful festival for sure. my post is coming tomorrow, i hope…been sidelined with the migraine from xj#$%, if you know what i mean. i'm off to check out some quilts! I am from Chelmsford, ma.~Thanks for such a wonderful quilt show!! Oh, yes, and I'm from Palmyra, NY! 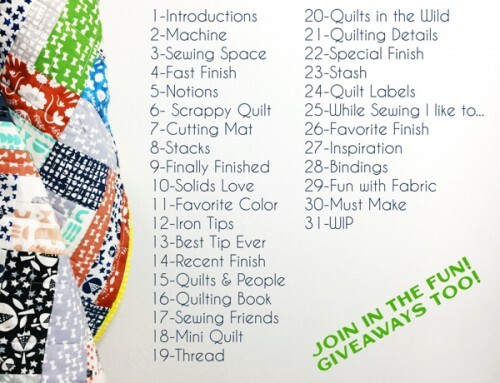 Hi, What a fun idea you had to sew all us quilters together in this blog festival! My quilt turned out about as good as the Pumpkin Quiche recipe I tried (that went into the trash), and was actually made as my first Schnibbles quilt. It's an embarrassing sight, but for some reason, I'm not minding showing it, since I got to blog all about my lesson in perseverance from it. Thanks for letting me enter into the delight of this fun! I am having so much fun looking at all the beautiful quilts! Thanks for having this quilt festival. Beautiful Quilts! What a great idea! This is a very fun event, thanks for hosting it! It has been so amazing looking at all the quilts, I am so excited to find new friends and new inspiration. Thank you Amy for making this happen. p.s. I am from Elmhust, Il just 20 minutes from fabulous downtown Chicago. I love this…spending hours blog hopping and looking at everyone's beautiful works…thanks for hosting this venue. Oops, meant to start with Pam here waving at you from Philadelphia, PA USA! The button is posted to my blog; entry html is posted to Mr Linky; pic posted to Flickr and now here's my comment…lol. I think I've covered it…now you know where I hale from! Have a wonderful time as it looks like we will be reading blogs for quite some time…WOW! This is very popular! I felt a bit intimidated by all the beautiful quilts that are entered, but I decided to join in anyway. Thanks for setting this up. It's so inspiring! Hi Amy, I am from Melbourne, Australia and new to blogland, I love, love, love, this idea it's great, have been busy admiring all the quilts. Great work!! Thanks Amy for hosting the quilt festival again. It's so much fun to see all the different quilts. I can't make it to the U.S for the big one so this is great see so many other quilts. I am from Queensland Australia. I don't know if I thanked you for this so – THANKS! I have posted about the Blogger's Quilt Festival and my favorite quilt. Thank you so much for hosting this AMY!!!! Thanks for the opportunity to showcase my Quilted Art. I live in Western North Carolina. What a great idea and full of inspiration! I've never been in a quilt show before! This will be fun. I've added my entry to Mr. Linky. I haven't participated before but find it all very exicting! I'm in Denmark, Jutland to be precise. Thank you so much for hosting this! It's such a fun event. Thanks again for 'chairing' the online festival. I'm fortunate enough to be going to Houston on Wednesday, so I'm excited, and I'm also looking forward to visiting the hundreds of blogs on my return. I just loved this last year and couldn't resist joining in the fun. Thanks for doing this! 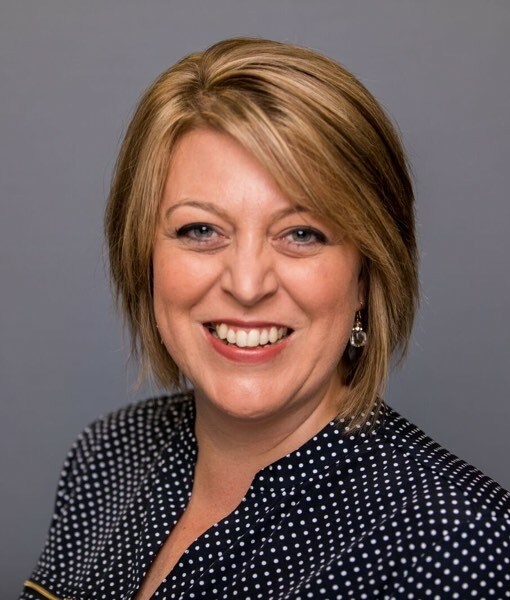 And oopsie for me too….I'm Susan, and I live in Gaithersburg, Maryland (which is suburb of Washington, DC). finally got mine posted…kansas weather didn't cooperate for picture taking, but it will have to do. i spent a few hours last night cruising quilts…a few stories brought tears to my eyes. thanks amy…a rousing success! The quilt I added was made because my hubby commented that he liked it when I was paging through a quilt book. It has become my favorite too! I posted my link twice because I forgot to link to the specific post, but then remembered. I don't think i'm appearing twice tho! Good luck everyone! I checked out the last one you did, but never added my own. This time around I decided to contribute. I'm only 21 so I don't have a whole lot of quilts to choose from (maybe 7 completed, I have 4 WIPs). Anyways, so glad there is another one and hopefully someone out there enjoys my quilt/blog. Jessica from Texas aka Quirky Parsnip. Thanks for setting up the Quilt Festival. I'm having a ball looking at all of the lovely quilts. An online quilt show is such a great idea. I'm from the USA. Thank you for putting this all together, I enjoy seeing everyone's quilts. My apologies for double posting! !I tried to do the link thing and I posted another Robin Hill instead~good grief~I will try to delete one of the two! I think is my first Mr. Linky! So exciting! Thanks for hosting such a lovely quilt show. Thanks for hosting the Fall 2009 Quilt Festival! Great fun! Thanks for hosting this event. I live on west coast, literally …on a cliff above the Pacific Ocean in Central California. When the snow gets thick come look at some of my temperate land photos. Amy this is So great. Thanks again for pulling it all together. Hi Amy, you've done a great job once again with this online festival! Finally found the comments so I am posting that I have linked to my entry, my NYB stash quilt here. Thanks for doing this again Amy it was terrific the first time. Hey Amy! and everyone else involved! I'm going to have to get my post up on my one-and-only finished quilt here soon. I wish the one I'm working on was finished. oops I forgot too, AZ & CO resident! Oh, I almost forgot to come and comment here! Thanks so much Amy for providing this opportunity for all of us! I'm from California. I'm going to get a quilt out to photograph this afternoon. I've been out of town so this is my first chance. I can't wait to take the time to go through all the lovely quilts in the show. CJ from verrrrrry northern Idaho. Just posted my quilt. Thanks for hosting this. I'm from Texas. What a wonderful response! So proud of you. And happy to participate again – on-time this time. What a great idea this is! I live just outside of Philadelphia. Wow, what a lot of fun it will be to look at all the lovely quilts! Thanks for hosting~! This was so fun and it motivated me to finish up my quilt so I can showcase it in the Festival. I am from Las Vegas, USA. I posted one of my favorite quilts on my site – enjoy it! Oh shoot – I'm from Lincoln, Nebraska. oh my goodness what fun! Thanks so much for doing this, can't wait to keep browsing. abby olson, currently in Iowa but actually from Cache Valley Utah, I was just in Park City a month ago…loooove that place! Thanks for organizing this festival! No idea if I did this right. I am so incredibly new to blogging. I'll check my link to see if it works. Oh, and I'm from Calgary, Alberta, Canada. Oh, and I didn't try to put the button on since I don't know how and since I haven't put my blog address out there for people to read. Thank you very much for hosting this quilt festival again. I loved the first one. Thanks for organizing this once again. I finally put up my link. I hope you can put your own name in for the fabulous giveaways! Thank you so much for hosting such a great event for us bloggers Amy! I love the opportunity to check out everyone's creations – it keeps me inspired!! I am from Bowling Green, KY.
Love looking at all the wonderful quilts. Thanks! I love the quilt festival and all the links/creative people are fabulous! Thank you for making a way for even the most humble quilter like myself to easily display my creation! I am in Northern California. Thanks so much for doing this festival! I just entered my quilt. I look forward to seeing everyone's quilts and getting some ideas and inspiration! I am from the Pacific Northwest. 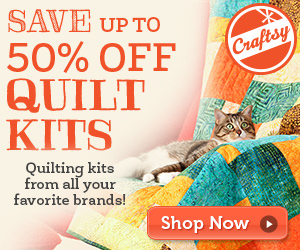 I'm so excited to check out all these lovely quilts! Hi Amy… you're amazing, this is so incredible, but I've told you that last time! I'm in admiration of your quilt festival idea. I was just looking for more quilt blogs the other day. Hurrah! Mine isn't specifically a quilt blog (too much going on in my life unfortuately) but I'm loving looking at other people's hard work. What a fun idea to have an online quilt festival. Thanks for hosting it! Boulder Creek, California in the very rainy redwood forest. I love this concept and excited I'm participating in this round. Thanks for hosting it and running the show! I've seen soo many beautiful projects! Amy, are you really reading all these? I am link #486 I think. allthingsrobin is my blog. I am in Richmond, Virginia. What fun and so much to see! I've blogged and added your button to my blog sidebar and now spending all my spare time enjoying everyone's quilts. I'm Chris and live in Muscatine, Iowa. I'm late but I hope i did everything right…this is so very new to me and I have no idea what I'm doing! I've posted my quilt. I'm from Kershaw, SC. Thanks for hosting and being so helpful! Mary and I are excited to be part of the show! Thanks for pulling this all together – again. Come over and give us a visit. Thanks for hosting this online quilt festival, Amy! I'm Corry from the netherlands. I can spend hours here going from quilt to quilt,yeh…thank you! Hey Amy, thank you once again for hosting this. I can't wait to go check out all the other entires. Mine is from Canada, since you wanted to know, and of course I would love to win a little something too! I've got my post up! I've jumped in, better late than never right. I'm Spring Water Designs located in Maryland USA. I'm enjoying the beautiful show. Thanks for hosting this, it's incredible! I finally created a blog and participated in an event on line. This is so much fun and I get to visit other people's blog and see their creative-ness, Thank you Amy for doing this. Thanks Amy for hosting the Fall Quilt Festival. I could not make up my mind which quilt to enter, so I picked my latest finished quilt…a Red Churn Dash quilt. Hi Amy and everybody at the Blogger's Quilt Festival. Isn't this brilliant? I've posted my quilt at http://shiny4444.blogspot.com/2009/10/tukusan-tsugi.html and now I'm sitting in Lincolnshire in England where the autumn leaves are falling while I'm browsing all your fabulous quilts and being very inspired. Thanks for organising this Amy, it's great. Thanks for hosting this! I'm in Baltimore, MD, and my quilt is also featured in my profile pic, but can be seen in full with its story at Heart Anchored, Mind Adrift. What a fun idea! Thanks for letting me join in. I'm from Lexington, Oklahoma and have a new passion for quilting. What a wonderful idea, thank you so much for organizing this. I am really enjoying everyone's quilts. I am in Oceanside, Ca. So cool. Thanks for hosting such a nifty event. I currently live in Elko, Nevada; originally from Salt Lake City, Utah. Thanks, Amy, for creating this festival! It's a lot of fun! I'm joining in from Seattle, WA. Hi, I am Jill and I am so inspired by what you have done that I started a blog today so I could add a quilt! I am from the Jersey shore, and am blown away by the talented quilters participating! I just got my quilt entered! This is fun, thank you so much for hosting. This virtual quilt festival is such a great idea! Thanks for hosting it. Thanks for organizing this again! So much fun and so many talented quilters. I'm excited that Wish Upon a Quilt is a sponsor since they are my main fabric store that I go to here in NC. Thanks so much for hosting this, I think it is a great idea. I've added my link and am now ready for the show. ps: The original quilt is on display right now at Naugatuck Valley Comm College in Waterbury CT. I've finally posted my entry! You can find it at http://www.quiltdad.com/2009/10/bloggers-quilt-festival-2009.html. I didn't want to miss my opportunity to win one of the AMAZING prizes! Thanks so much for all of your hard work, Amy … your festivals are so, so great. What a wonderful idea. I'm delighted to participate and can hardly wait to spend some time looking at all the quilts shown here. Thanks! I have added my favorite quilt to the online festival! Thank you so much for hosting this event. I am from Glendale Arizona. Thanks for doing this again. I looked at almost every one when you did it last time, and this time I have a blog and can participate! Woohoo! Keep up the good work. I'm from Canada by the way. Come by my blog and say hi. Its new and I'm still working out the kinks and would love some feedback. Wow! What a great turnout. I can't wait to work my way through all the entries…it may have to wait until I get back from non-virtual Festival, though! It just goes to show how many wonderful and tallented people there are all over the world. I posted my favorite quilt for the festival. I am loving seeing all these awesome quilts! Thanks for making it possible. i don't know if i will get any sleep tonight! i can't stop looking at quilts. i just posted one on my blog and am just loving the creative juices i'm feeling! Amazing number of beautiful quilts! I just love it! I did this in the spring, and had to do it again. Thanks for doing this. Hi,Ami. Thank you for such a fun event. I am a quilting blogger from Moscow, Russia. Another Tennessee (on the border of Georgia) quilter here! This is such a fabulous idea and I thank you for hosting it. I've been sick this last week and it's been wonderful to be able to browse though everyone's amazing quilts while I couldn't do much else. Hi Amy I have posted my link to my greatest quilting achievement (to date), it's my first time using a quilting machine myself! I'm so glad I found out about this quilt festival, I am a newbie quilter and will be attending the International Quilt Festival in Houston this Friday for the first time! In my opinion this is better than a regular quilt show because you get to see a little background on the quilt and quilter! Hi Amy, I'm Diane from Grove City, Ohio. You inspired me to start my creative blog (after years of thinking about it). There are so many beautiful quilts to look at here, I might never sleep. 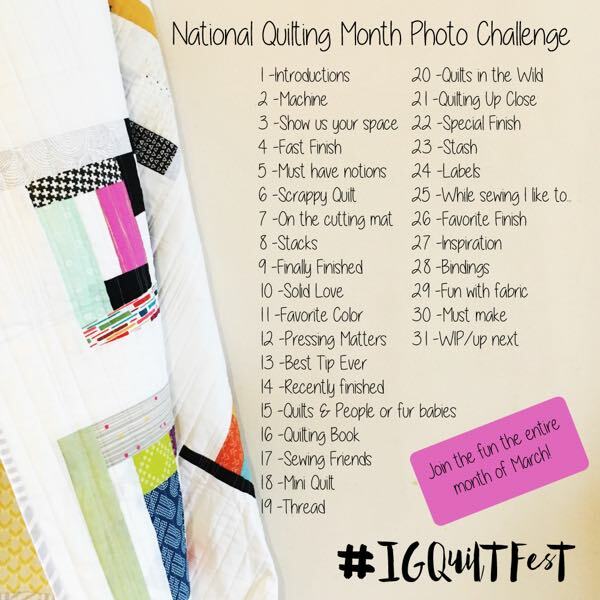 hi there..i can't wait to sit down and look at all of the fun and inspiring quilts in this festival..i enjoyed the spring time one so much..
i am christi from Norman, OK…i quilt during naptime and bedtime & weekends!! this is my entry! woohoo. I'm still pretty new to this, but I'm loving looking at everybody's quilts! Thanks for hosting this! 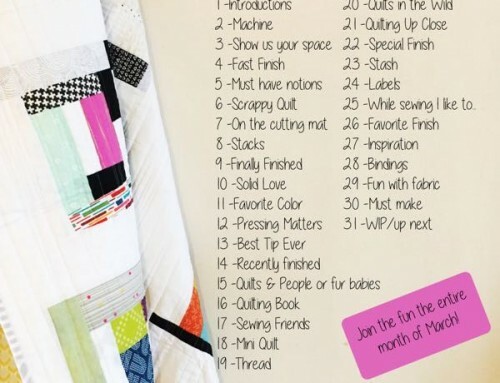 Thank you for doing this – what a fun way to connect with other quilters online. I am from the Seattle area, and just started quilting in the last year, but I am so hooked! I am looking forward to browsing these links for a long time. This is seriously overwhelming, Amy! I haven't read everyone's entries, but I have viewed them all…what a fabulous community, and thank you for providing us this forum once again! what a fun festival! Thanks for giving me some motivation to continue quilting! I am from near Nashville, TN, and posted a link to my first quilt (and I've only made 2 :) Thanks for recruiting such great prizes too! I'd love to win something!!! I've linked, I'm posting, now to go peruse all the lovely quilts! What fun! I love this! I got to go to the Houston Quilt Festival twice while I was in Texas. I loved it even before I really knew about designers etc. Sigh… Thanks for hosting this. I am going to have a good time looking at all of the quilts for the next couple of weeks! Amy, I'm excited to go check out the quilts! Thanks for setting this up! And I'm from Southern California. I finally got my post up and I hope the link works. Thank you so much for hosting this! Hi, I'm Wendy in Louisiana, and I probably have the quilt with the most unusual materials, but for a reason. great job amy, this is so much fun! What a great idea and loads of fun, many thanks. My post and photos are up and your button is on my blog; I'm off to travel blogland and see the lovely quilts. I'm in the beautiful Appalachian Mountains of southwest Virginia. Hello! I finally decided to get in on this…. I don't have a blog so I posted my pics on flickr and added them to the Festival group. I tried to link to Flickr with Mr Linky, not sure if that will work or not…. Thank you for hosting this festival. I LOVE looking at all the gorgeous quilts!! WOW! I am fairly new to quilting! I am amazed at the possibilities and hope to someday do more complex quilts! 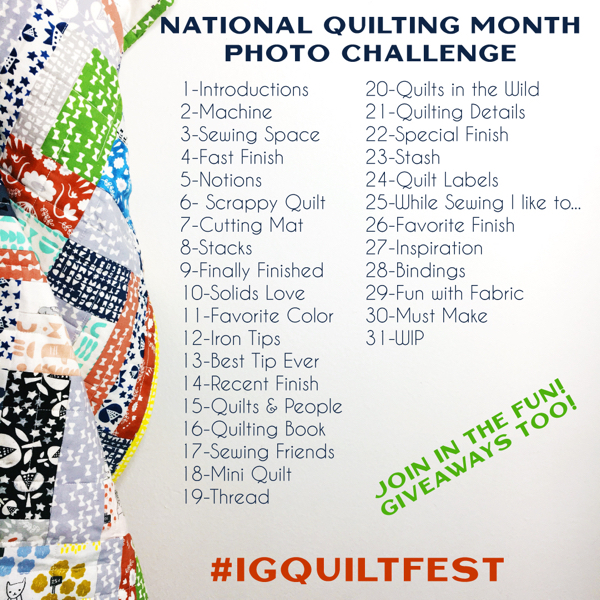 What a neat idea to have a blog quilt festival! Wow! And to think I figured out how to create a blog, a link, and a button just to share in all the fun……. My goodness! Seriously, thank you SO much for putting this on. I've gotten nothing accomplished for several days now, *except* reading stories, being inspired and making new friends, It's been fabulous! I can't believe it's almost a year since I finished this quilt! I love the interplay of the two colours. Writing from Edmonton AB Canada. Thanks for the lovely quilt show! Thanks Amy for doing the quilt festival. It has been great to see all the different quilt artists and their work. Just posted about my entry in the festival, so glad to be here. wish I could have found you sooner but so glad to sneak in by the skin of my teeth. Oh, what fun! I love looking at all of the entries. Thanks for another great quilt festival! Thanks for hosting again. I loved going through all the blogs last spring enjoying all the beautiful quilts. It's rainy and dreary here today in McLean, VA – perfect weather for viewing quilts again. Ahhh. I'm back again browsing. What a feast for the eyes. Aaahhhh! Thanks for all the fun, Amy. I did blog about your festival and hope I can participate in your Spring Festival 2010. Thank you for this online Festival – I love it! Julie in PA/USA. Thanks for hosting this! I just entered my quilt, and spent an hour or more looking at other entries. What a wonderful way to spend a chilly western Massachusetts morning. Hi, Amy. Thanks for hosting another quilt festival. It is so much fun to look at "all" the quilts and blogs! I have been so inspired and made new friends. Thanks so much! Oops, I forgot to say I am from central Illinois. I just did my first EVER Mr. Linky! I'm so excited! And I am SO enjoying looking at all the breathtaking quilts! Thanks so much! This is amazing! I just linked over from Wish Upon a Quilt and wow! The quilts are extraordinary. Mrs. Moen's quilt story gave me the chills. Quilts are no longer just sometihng to keep warm under or a way to use old material. They are works of art with symbolism & depth. I'm new to this "hobby" but I can see already how my English teaching background will influence my future works. I can hardly wait to get started! I ddecided to use my Autumn Wedding Quilt as my Festival entry at All Things Quilty. Thanks for putting this together for us. I really enjoyed seeing so many of the quilts. Hi…I posted an old family quilt for the festival…my name is Kristine…live in WA state…SAHM of 2, wife to 1…this is my first time joining your festival…fun fun! What an amazing concept – so many beautiful quilts here. I am inspired to continue to persevere at my early quiltmaking attempts! This is such a fun way to see what every one can do! I am living in Utah, but I'm from Las Vegas. Thanks for doing this! I have been spending lots of idle time loving all the beautiful quilts! Amy, I loved looking over your last quilt festival, it's how I discovered Red Pepper Quilts, which is one of my favorite blogs to follow now. I don't have a blog right now, but I copied over my flickr picture URL and sent the picture over to the Group Pool. I'm excited to be able to participate in your quilt festival this year! I'm from Portland, Oregon. I have been looking at the quilts for days. Your blog is so inspirational! I just wish I had the time and knowledge to blog too. Maybe if I stopped looking so much, lol. What a lovely idea! I am so excited I came across this! Thank you! I'm so thrilled to be participating in this Festival. I've already looked at many inspirational quilts and look forward to seeing many more. Thanks for hosting. I'm linked up, even if a bit late! I've only started looking through all of the other entries! Thanks again, Amy! So much inspiration out there. From Aimee in New Hampshire! Thank you so much Amy for hosting the Quilt Festival again! I am glad I was able to join all the fun! Thanks again Amy for hosting the Festival. It's been great fun. This was such a great idea! Thanks Amy! I love seeing all the wonderful quilts. Whew! Just under the wire! I am CJ from way up north in Idaho! Posted my quilt and can't wait to take a look through ALL the other entries. What a fun idea, thank you Amy! I'm crossing my fingers for the blog makeover! That would be fabulous!! I am from Germany and unfortunately quilting is not a big thing here, so I am glad to be able to participate in your festival!! Thanks for being a wonderful hostess Amy! Lots of inspiration! I'm Linda from medina, ohio. sneaking in here at #601. i'm out of town for a wedding, so just had the chance to post! I posted the only quilt I've ever finished! I hope to have more selection to choose from in the spring. I just posted my quilt "entry"! Barely making it! Love peeking at everyones entries. There are quite a few so it's gonna take a while to get through them. LOL! oh dear, I almost messed up, I forgot to write a comment but I did put my quilt/link up for you a few days ago. I am glad I came back to double check it worked! I am from Helena, MT but my heart is in Seattle, WA! Many thanks from Phoenix for finding a way to gather so many accomplished crafters and ideas in one place! I have spent way too much time on this over the past week. And I have loved every second of it! Thanks, I just posted my quilts, although I had hoped they would be back from the quilter by now. Such a bummer! Thanks again! I'm loving it. Wow! Look at all the wonderful places to visit! Thanks for doing this! What a cool idea! Thanks! I'm Diane of IndigoDi at typepad and I live in Connecticut. I made the deadline! Woo Hoo!! Where has this week gone?!! What a fantastic turnout! Such a great idea you've had, and a huge success too! Hello everyone and Amy, I'm arlette from the blog el rincón de arlette (arlette's corner) and I'm from Costa Rica, I bet this is lot of fun! This is such a great idea! Way to go, Amy, and thank you for giving us all the opportunity to share in the fun of a Quilt Festival. oh…I hope I did this right! And I hope that I made it under the wire as well!! This is an awesome idea Amy! Amy, I'm after midnight on my comment but I made it under the wire on my quilt entry. Thanks for your recent post reminding me that I hadn't made my entry yet. I'm soooo happy that I made it and I'm actually dead last. Too funny! LOL! I'm a local Utah girl and live not too far from Park City. I've lived out of State in Northern California for 13 years and have been back in Utah now for 11 years. I love it here! Many thanks for endless hours of entertainment! This is such an inspiring idea! Sorry, I can't figure out the Mr. Linky thing. I love your show! I am making my way through the links. Thanks for hosting this festival. I hope I'm not too late. I'm from Louisville, KY. I think I forgot to put where I live on my first comment. I'm Henny from Indonesia, South East Asia. This definitely makes great sense.. Excellent web site you have here.. It’s hard to find good quality writing like yours these days. I truly appreciate individuals like you! Take care!! Thanks for the auspicious writeup. It in fact was once a enjoyment account it. Glance complex to more delivered agreeable from you! By the way, how could we be in contact? Hi friends, good paragraph and good arguments commented here, I am actually enjoying by these.